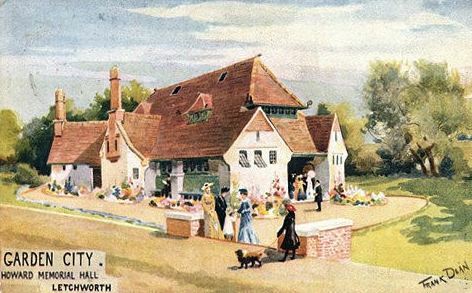 The Mrs Howard Memorial Hall was the first public building in Letchworth and quickly became the literary, music and social hub of the fledgling Garden City. It was built as a memorial to Ebenezer Howard’s first wife, Elizabeth Ann Bills, who died shortly before moving to the Garden City. The building was designed by the Letchworth architects Parker and Unwin and constructed by Openshaw & Co. The architecture was based on Edgar Wood’s Church of Christ Scientist in Manchester. The building opened in March 1906, at a cost of £1300 which was collected from fundraising and donations by residents. Later that year, Mr Arthur Bates started Letchworth’s first library at the hall which initially only contained works by Charles Dickens and Sir Walter Scott. 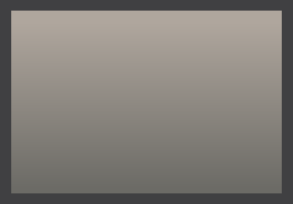 In 1907, The Howard Hall Association was created, with a board of 20 elected members, to take legal possession of the hall, for use by the public. 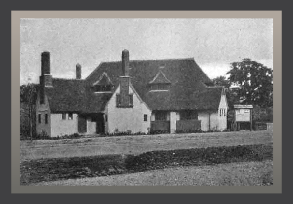 Also in 1907, an extension, paid for by Juliet Reckitt (who built the Howgills Friends Meeting House in Letchworth), provided space for the new Girls Club where Letchworth girls could meet and learn skills such as dressmaking, cooking and crafts. The hall has had a variety of uses. In 1921 the building housed the Petty Sessional Court until the Court House was completed. 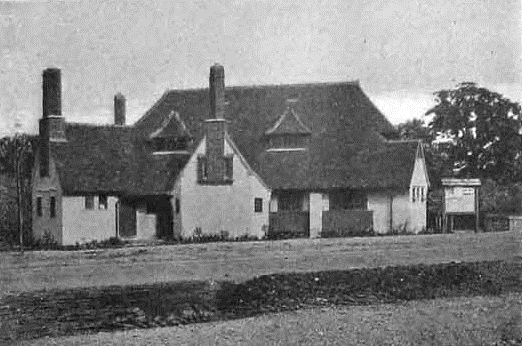 The first Letchworth Parish Council Meeting and a number of Letchworth Urban District Council Meetings between 1919 and 1924 were held in the hall. The first Saturday Social in 1906 was here as was a Fancy Dress Ball in 1907, in the First World War the Girls Club extension was used as a Synagogue, and the Hall has even played host to a travelling dentist’s surgery! The building also witnessed meetings addressed by the famous suffragette, Mrs Christobel Pankhurst, groups protesting against the Tsar’s proposed trip to the country and the early discussions on a licensed Public House. Until around 1908 The First Garden City Band and the Letchworth Philharmonic Band rehearsed here. As part of the 1908 May Day celebrations, the first ‘Garden City Pantomime’ took place at the hall, where residents performed a satire on Garden City life. In the 1960’s and 1970’s the back hall functioned as a youth club known as ‘The Leys’ which held, amongst other things, music nights which attracted some of the popular bands of the day. Groups that have used the hall as their meeting place have included The Garden City Social Dancing Club, the Socialist Society, The Anti Vivisection Society, The Debating Society, The Vegetarian Society, The Workmen’s Club and the Adult School amongst many others. 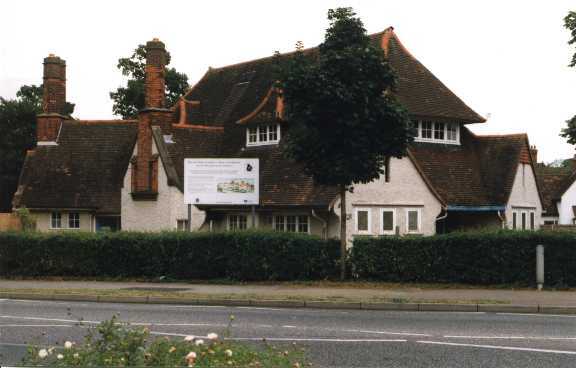 The Grade II listed building was sensitively renovated and extended between 1998 and 2006 and is now being used by the Letchworth Garden City Community Group.